With an astute vision to lead the toy industry in India,Mattel Toys, the world’s largest toy-maker, has charted a more robust and aggressive retail strategy. In a move to strengthen its retail presence and deepen market penetration, effectively targeting millennial parents, Mattel has formed strategic alliances with India’s leading e-commerce platforms – Amazon and Flipkart, to exclusive stores for its iconic brands Barbie, Hot Wheels and Fisher Price. Mattel’s focus in India for the financial year is to expand and reinforce its retail presence including creating multiple solutions with e-commerce partners; where the industry projects over 50% growth. The expansion on ecommerce is in line with Mattel’s strategy to enhance accessibility of Mattel’s products and provide greater value for money to consumers. With this move combined with ring-fencing traditional trade, Mattel expects to expand their market reach by over 20% within Metro, Tier I and Tier II towns. According to the Euromonitor data, Mumbai, Delhi and Bengaluru are top markets for Mattel, followed by Hyderabad, Chennai and Kolkata. The focus on strengthening e-commerce will ensure expansion to other urban clusters across the country as well. The exclusive stores for Barbie, Hot Wheels and Fisher Price will showcase the entire product range across price points, age groups and categories. The Barbie stores boast of a robust line of dolls, playsets, doll houses, apparel and other licensed merchandise. The Hot Wheels stores will showcase the wide range of die-cast cars and track sets, as well as other merchandise. The Fisher Price store will house a wide range of toys for new-borns and toddlers as well as building blocks from the Mega Bloks range and toys from the line of Thomas and Friends; baby gear like portable cots, strollers, feeding bottles and other developmental products like convertible gyms and learning tablets. Mattel Toys has focused its efforts around the core philosophy of ‘Play with purpose’ – where each toy developed by the global leader has an intrinsic benefit linked to it. 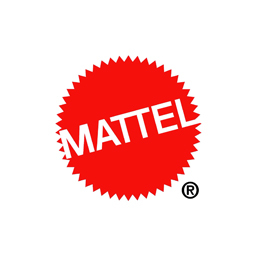 The vision for Mattel toys will continue to evolve and grow as a brand that is a trusted partner for a parent and an integral aspect of every childhood.